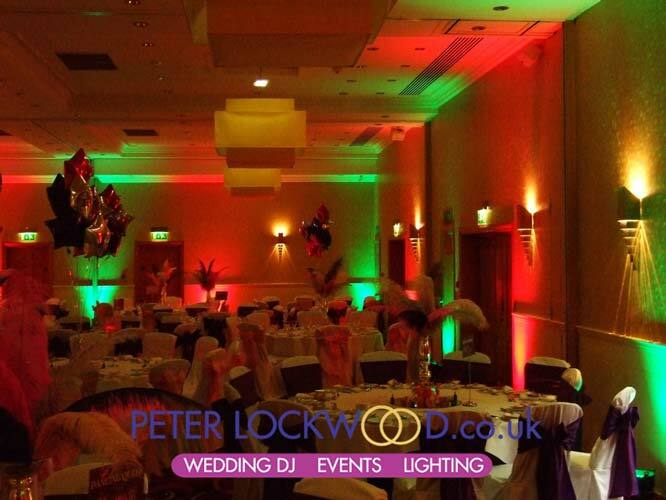 Park Royal Warrington UpLighting I have provided my wedding lighting hire many times at the Park Royal at Stretton, Warrington. 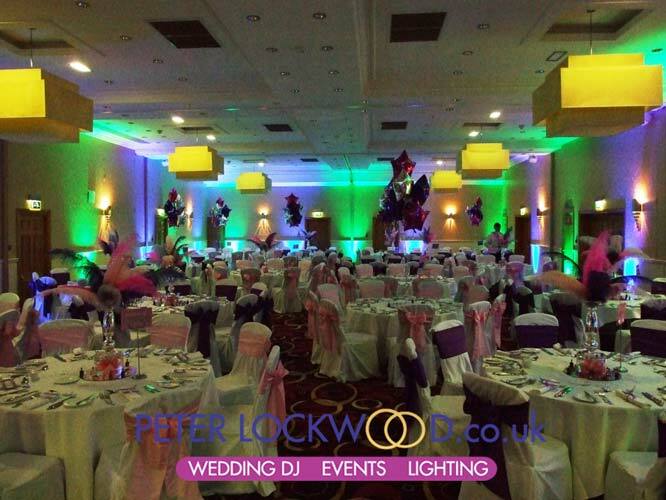 The lighting brings the best out of the function room at the Park Royal. 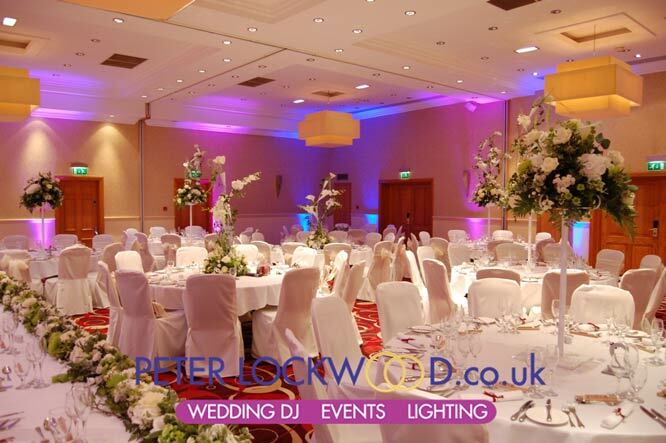 Bellow are pictures showing my wedding lighting hire in the Royal Suite. 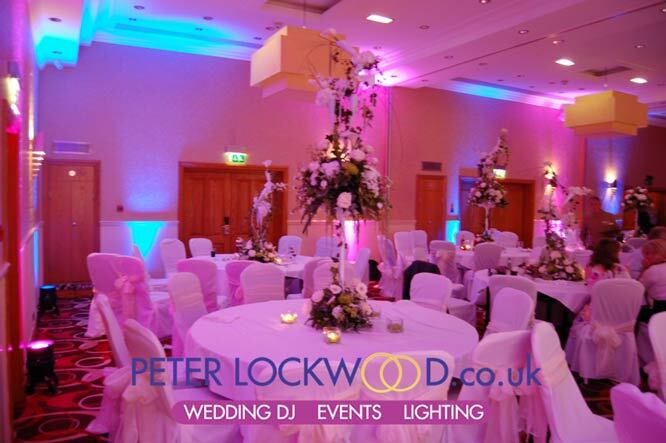 First we start of with pink and blue wedding lighting hire, the two colours work well together. If you are looking for Uplighting hire in the Park Royal or Drapes and Backdrops please get in touch for a quote. Next we have Christmas party lighting red and green and green and blue.